Home Uncategories Shaheer Sheikh's PALATIAL home in Jammu! 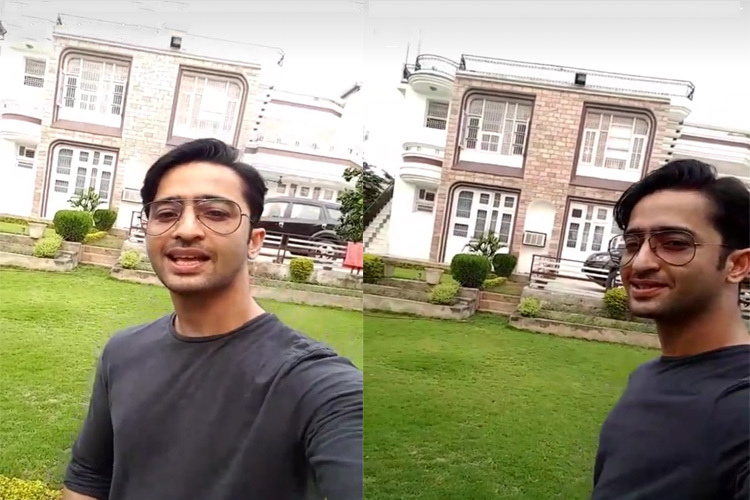 Shaheer Sheikh's PALATIAL home in Jammu! Actor Shaheer Sheikh is certainly in the best phase of his life. While on one hand, his show, 'Kuch Rang Pyar Ke Aise Bhi' keeps reaching newer heights of popularity and success; the actor also recently purchased his dream pad in Mumbai, about which he mentioned that he had been working on it for a long time. And just when you get settled down from the amazing DevAkshi aka Dev (Shaheer Sheikh) and Sonakshi's (Erica Fernandes) marriage, we have another visual treat for you. The ardent fans of Shaheer are totally aware about the fact that Shaheer belongs to the beautiful state of Jammu and Kashmir, where he is born and brought up. Originally belonging to Jammu, though we have seen glimpses of Shaheer's real life and family from time to time; the actor has usually been pretty tight-lipped about the same. The sheer outlook of the house makes it a visual spectacle. The actor recently visited his family in Jammu and that's when we got a glimpse of his amazing house.